Hellebuyck’s provides service and repair to all of the brands that we sell. We want to leave our customers with a confident feeling that if something does happen to go wrong, the company that sold you the product, can also fix it for you. Hellebuyck’s also sets up and preps everything that we sell prior to it leaving our store. We do this to make sure everything is running properly and that our customers can operate new equipment safely. Our technicians are factory certified technicians which means they receive ongoing training that is needed to stay current with new technologies and updated with any changes the equipment manufacturers may instill. 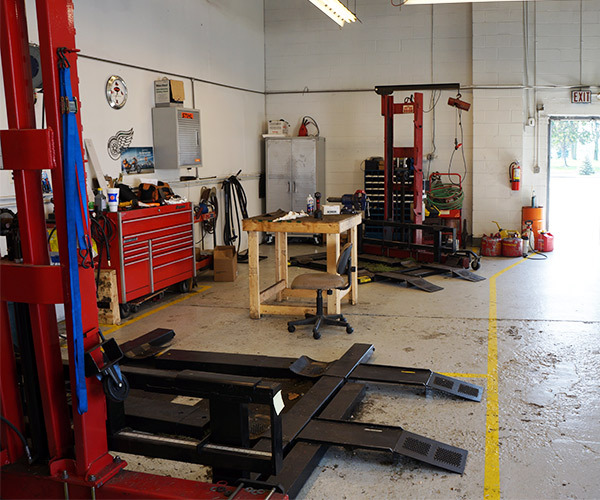 Tune-up - A Tune-up can extend the life of your equipment and decrease the need to replace worn engine parts. Maintenance - Regular engine maintenance is the best way to extend the life of your equipment. Oil Change - Get your next oil change at Hellebuyck's. Hydro Fluid Service - Fluids should be checked and changed at routine intervals. Tire Repair - Have a flat tire? Visit us at Hellebuyck's and we'll help you get back to work. Belt Service - Regular replacement of your equipment's belts could conserve time and money over the lifetime of your equipment. Snow Paddle Replacement - Make your snowblower work like new by changing the worn out paddles. Snow Scraper Replacement - Replace the snow scraper at the same time as the paddles to create optimum snow clearing power. Skid Shoe Replacement - A snowblower shave plate and auger scraping the ground is a strong indication of a worn skid shoe.